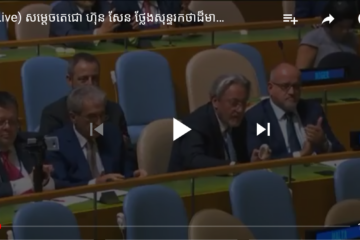 In Cambodia’s capacity as Vice President of the 73rd General Assembly of the United Nations, Deputy Prime Minister and Minister of Foreign Affairs and International Cooperation H.E. 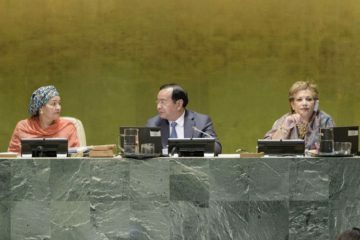 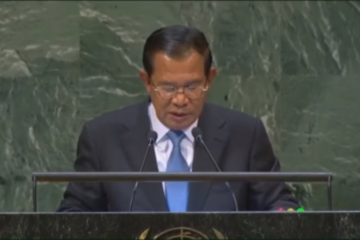 Prak Sokhonn chairs the plenary session of the general debate, in New York on Sept, 28. 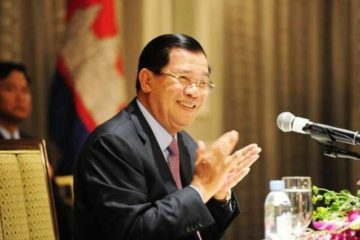 Phnom Penh, September 28, 2018— H.E. 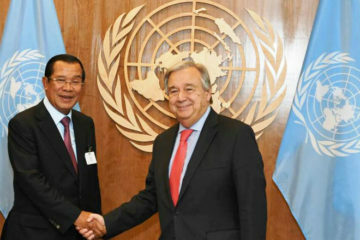 Prak Sokhonn (R, Pic. 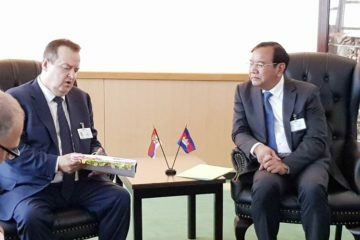 1), Deputy Prime Minister and Minister of Foreign Affairs and International Cooperation of Cambodia, warmly greets Hon. 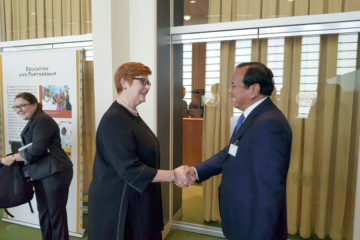 Marise Payne, Australian Minister of Foreign Affairs, before their bilateral talks on Sept. 27, on the sidelines of the 73rd UN General Assembly in New York. 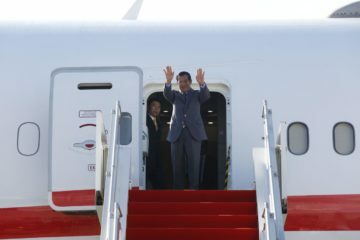 Phnom Penh, September 28, 2018— Prime Minister Samdech Akka Moha Sena Padei Techo Hun Sen was warmly greeted by representatives of the Cambodian communities in the U.S. and Canada, upon his arrival in New York in the afternoon of Sept. 27 (local time in New York) for the 73rd Session of the UN General Assembly and its relevant meetings.